Add Coast National Sales to your favorite stores and receive our exclusive emails about new items and special promotions! 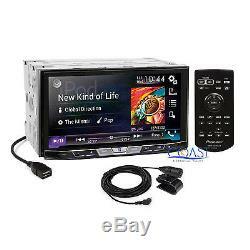 Pioneer 2017 Car DVD Bluetooth Stereo Dash Kit Harness for 09-13 Toyota Corolla. 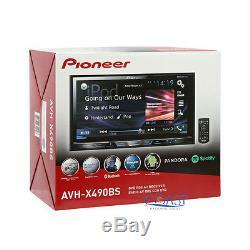 Pioneer Touchscreen DVD MP3 Bluetooth Stereo Receiver iPod iPhone Control. AppRadio One gives you complete control over iPhone and Android apps on the radio's screen. Bluetooth version 3 +EDR certified technology for hands-free talking and audio streaming. Works with most Bluetooth enabled cell phones (up to 32.8 ft in range). Includes an external wired microphone for clear and distortion-free talking. Time alignment optimizes music for where you're sitting in the vehicle. Dimmer Setting (ON/OFF) with Home Screen Shortcuts Customization. Compatible with Apple iPhone 6/6+ and iOS 8+ software. Rms: 22W x 4 channels. Plays CD, CD-R/RW, DVD, DVD-R/RW, MP3, AAC, FLAC and WMA. 24-bit Digital to Analog Converter. 13-band graphic equalizer w/7 selectable tone curves (5 Preset, 2 User). 3.5mm Rear A/V Auxiliary Input. High-pass Filter and Low-pass Filter. Outputs: 3 Sets of 4V preamp outputs (front, rear and subwoofer). Backup Camera Input: Used for universal rear view cameras with an RCA composite input. Rear RCA Video Output: Used for connection to separate monitors and other devices. Rear RCA Audio/Video Input: Used for connecting video accessories such as game consoles, video cameras, etc. 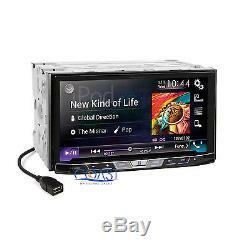 Navigation Ready: Add navigation with installation of the Pioneer AVIC-U280 add-on GPS unit. 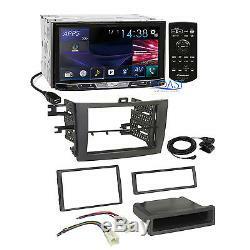 Single or Double DIN Install Car Stereo Dash kit. Specially design patent pending side mount brackets. Designed and contoured to match factory dashboard. Painted to match factory dash color. Illustrated instructions for easy installation. Car Radio Stereo Wiring Harness. Harness one 10-pin plug and one 6-pin plug. Plug into harness at radio. Heat resistant for lasting a lifetime. High quality ABS plastic molded connector for the perfect fit. Pre-stripped to make installation quick and easy. No cutting of factory wiring needed. Vehicle Compatability Chart may vary depending on vehicle options, production dates, and install application. 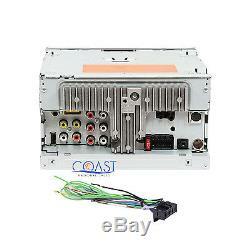 Wiring harness is NOT compatible with premium JBL, BOSE or factory amplified sound systems. Please verify your vehicle's original sound system specifications before purchasing your harness. Return for replacement within: 14 days. We are not responsible for any excess charges. Local pick-up is available by appointment only, please inquire for more information. Powered by Solid Commerce The All-in-One Listing, Inventory & Order Management Solution. The item "Pioneer 2017 Car DVD Bluetooth Stereo Dash Kit Harness for 09-13 Toyota Corolla" is in sale since Wednesday, July 19, 2017. 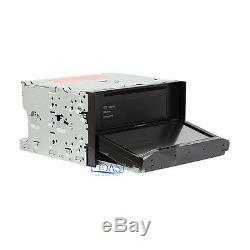 This item is in the category "eBay Motors\Parts & Accessories\Car & Truck Parts\Interior\Dash Parts".